Your smile and the condition of your dental health are unique to you. With our comprehensive treatment options, you’ll soon feel proud to flash your pearly whites to the entire world. Speak confidently, chew comfortably and laugh openly with a sensational smile! Are you self-conscious about your smile due to cracked, broken, decayed or worn teeth? Even while taking careful preventive care, your teeth undergo a tremendous amount of stress during your lifetime. 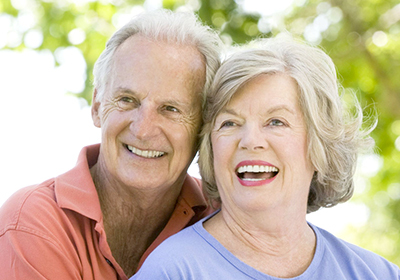 Crowns can fix problems caused by old fillings, large fillings, broken teeth or broken fillings. Porcelain crowns bring back your healthy, natural-looking smile. After some tooth preparation, crowns are custom fitted to give you a beautiful, smile that functions faultlessly! In the past when a tooth was damaged by decay the only option was to restore the tooth with a silver amalgam filling. 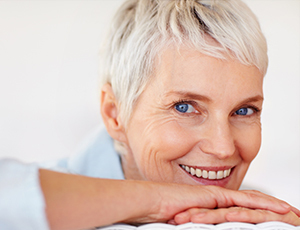 With advancements in dentistry, dental amalgam is not a treatment option in our office. Today we can place a tooth colored bonded restoration that will not only restore the tooth in an aesthetic way it will also strengthen the tooth and make it more resistant to fracture in the future. Dental hygiene appointments are sometimes called “cleanings” because the teeth are thoroughly cleaned as part of the dental hygiene process. 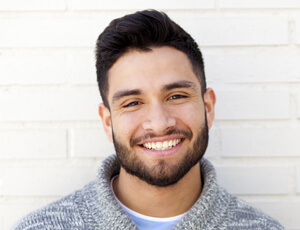 During this time, the plaque and tartar on your teeth above the gum line will be removed and an oral examination will be performed on your teeth, gums, and soft tissue. Polishing the surfaces of your teeth smooths out areas where plaque can collect and removes stains, making it hard for plaque to build up in the future. But oral health is more than just about having clean teeth. The integrity of your tooth and gums are also reviewed to prevent or treat periodontal disease and oral cancer. We recommend an appointment every 6 months. Oral cancer affects tens of thousands of Americans every year, and one case in four is fatal. As with most cancers, the key to beating the disease is catching it before it progresses to a later stage. With early detection from a routine oral cancer screening, there is a 90% success rate after diagnosis. A trusted dentist like Dr. Rude is truly your only line of defense against oral cancer. He and his team of dental professionals are the only ones to regularly evaluate your oral health and to notice any potential abnormalities. Gain the peace of mind that comes with a regular oral cancer screening from Dr. Rude. With the help of the latest dental technology, even a diagnosis of oral cancer can be successfully treated through early detection. Keeping your teeth is always the best and preferred solution. In the instance that one of your teeth cannot be saved, it may be recommended to extract the tooth. We can remove your troublesome tooth and give you the treatment options for replacing that tooth and returning your function and restoring your smile. Many people who notice chipped or cracked teeth, but don’t remember when the injury occurred, damaged their teeth while they were sleeping. Grinding or clenching your teeth during the night will cause your teeth to chip, crack and even break. To keep you from seriously damaging your teeth, we recommend a dental appliance called a night-guard, which protects your teeth from grinding & clenching in your sleep. Our team takes great care in making sure you have a proper fit to prevent pain in your jaw joint. Do you suffer from headaches? You may find that a side benefit of your night-guard is headache prevention. Many headaches start during the night, caused by the extreme pressure generated as you grind and clench your teeth. Ask our team about having a night-guard custom created for you. Are you unhappy with the appearance of your teeth? Dr. Rude creates a customized treatment plan for you, based on your age, goals and comfort level. Years of wear and tear, injury, or poor care can hurt the look and function of your teeth. Dr. Rude can change your life through restorative dentistry.